The changes are part of the restaurant’s green initiative which is being rolled out across all 110 outlets. SUPERMACS IS TO introduce recyclable cups, paper straws and biodegradable burger wraps in all of its restaurants. In addition, the Irish fast-food restaurant are to create ‘Green Teams’ in each outlet as part of a major initiative to ‘Go Green’. As part of its Glan agus Glas (Clean and Green) initiative all cups in the restaurants will now be 100% recyclable, paper straws will replace plastic straws and all burger wraps used in 11o of its restaurant will be recyclable. Dispensers will also be rolled out for sachets and napkins also. Today’s announcement was made by the Minister for Communications, Climate Action and the Environment, Denis Naughten at the official opening of the newly redeveloped Casey’s Service Station in his constituency of Roscommon today. We recognise the strain that single use plastics are having on our environment and that every little bit counts. We undertook a trial period of a number of initiatives in our Westport outlet and following on from that as well as a consultation process with our staff, I am delighted to announce the Glan agus Glas initiative. These are real initiatives and not targets. He said Supermacs has already started working with Irish companies in Ennis and Belfast to supply the Glan agus Glas programme and customers will begin to see these changes immediately. Supermacs aims to have all of their cups 100% recyclable and all their burger wraps biodegradable by September. The process of introducing paper straws is to be introduced immediately. Speaking about today’s announcement, Naughten said plastic waste is a global crisis, and he commended Supermacs for playing its part in waste reduction. “It takes leadership and action from all of us, collectively and individually, in order to tackle this problem and reduce the generation of plastic waste in our environment. The minister said he is confident green initiative will bring a welcome reduction in the generation of plastic waste, greater environmental awareness and behavioural change particularly when the Green Teams begin their work. Supermac’s is Ireland’s largest indigenous quick service restaurant chain, with 110 franchises across the country. Three more restaurants are scheduled to open in the next six weeks. 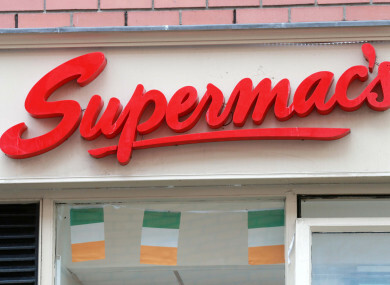 Supermac’s also operates the Papa John’s Pizza brand and SuperSubs. Email “Supermacs to introduce recyclable cups, paper straws and biodegradable burger wraps in all restaurants”. Feedback on “Supermacs to introduce recyclable cups, paper straws and biodegradable burger wraps in all restaurants”.